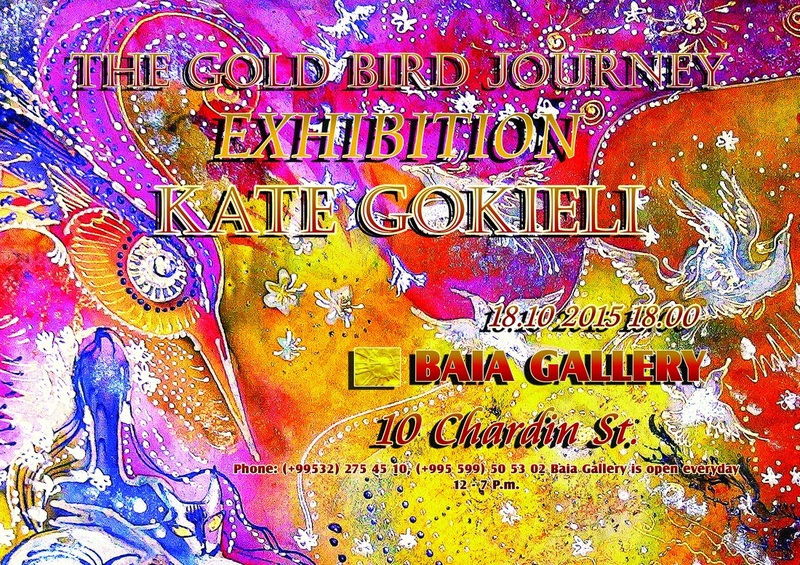 Kate Gokieli was born in Tbilisi. In 1976 and 1978 she had her personal exhibitions. In 1981-87 she studied at the Academy of Arts. After Graduating it, she started to work at the drawing studio, where she has been working since. She works in Batik techniques. Kate Gokieli paints with left hand. She likes cats very much. 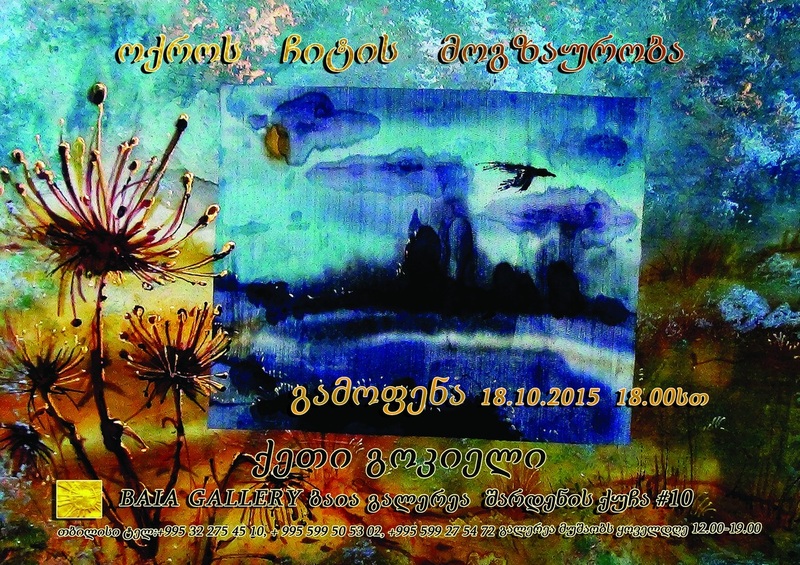 1.1988 The republican of drawing and illustration in Tbilisi. 2.1989 The exhibition of young painters in Tbilisi. 3.1989 The graphic studio exhibition in Tbilisi. 6. 1992 Exhibition in Turkey and Germany. 7.1994 Personal exhibition in'' Karvasla''. 8.1994 personal exhibition "Metechi Palace''in Tbilisi. 9.1996 Personal exhibition in art saloon ''Manano". 10.1996 Personal exhibition "Metechi Palace". 11.1997 Personal exhibition ﻿in club "Matador﻿ "
14.2009. Personal exhibition Gallery "DIART". ​16.2015. Personal exhibition "Baia" Gallery. 2.1989წ ახალგაზრდა მხატვართა გამოფენა თბილისი. 3.1989წ გრაფიკის სტუდიის გამოფენა თბილის. 4.1989წ ახალგაზრდა მხატვართა გამოფენა ფინეთში და მოსკოვში. 5.1991წ ქართველი მხატვრების გამოფენა იუგოსლავიაში. 6.1992წ ქართველ მხატვართა გამოფენა თურქეთსა და გერმანიაში. 8.1994წ პერსონალური გამოფენა " მეტეხი პალასი". 9.1996წ პერსონალური გამოფენა არტ სალონ "მანანო". 10.1996წ პერსონალური გამოფენა "მეტეხი პალასი". 11.1997წ პერსონალური გამოფენა კლუბი "მატადორი".